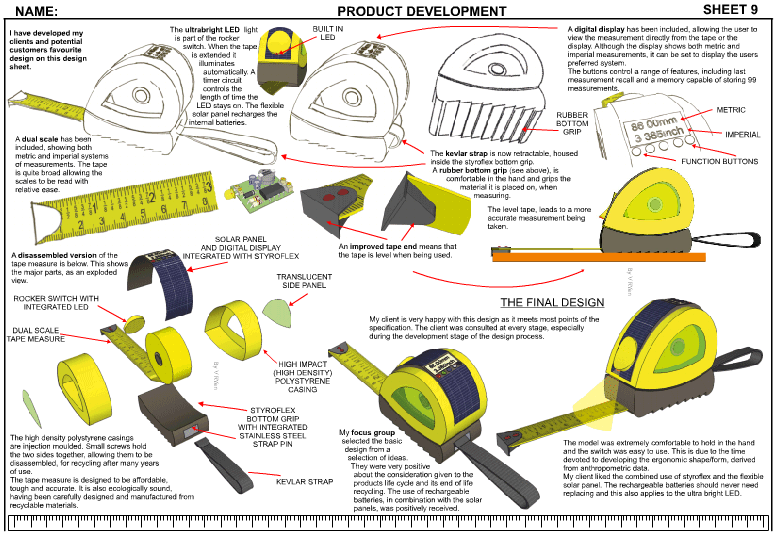 The three design / development sheets below, show the final design from conception to developed final idea. 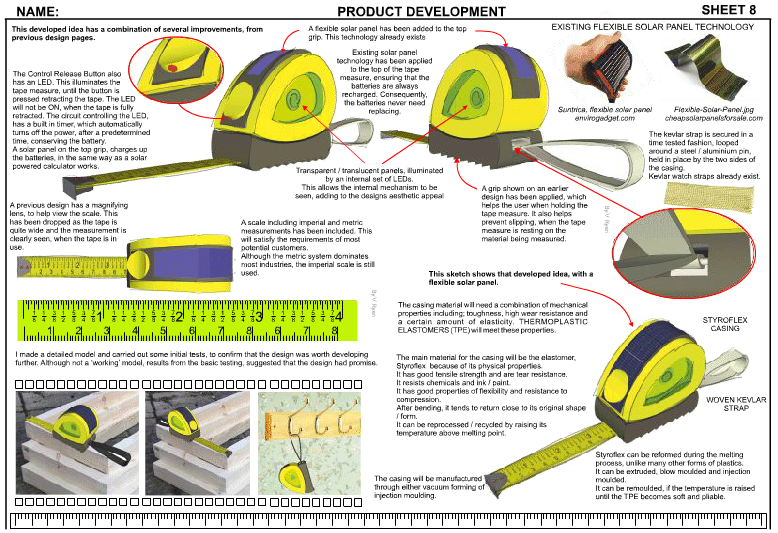 Again a combination of sketches, colour rendered drawings and models have been used. 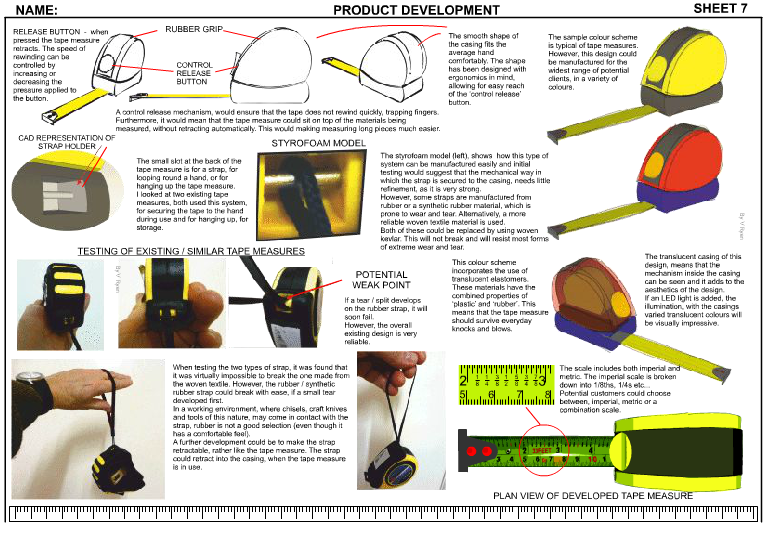 Detailed notes are included on each of the design sheets.